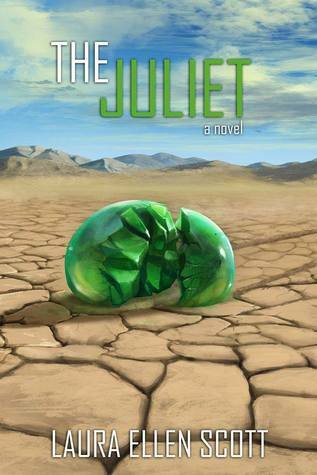 The Juliet is a large emerald that had been stolen from an Egyptian tomb. It made its way to the United States, until its rumored final local location in Death Valley. Many people have tried to hunt it down throughout the years, and there are stories that it's cursed. Despite that, people constantly try to hunt down its whereabouts, no matter the cost. This is a very meandering kind of tale, with so many different lives over the course of a century that were affected by the Juliet. The shifting timelines and scattered characters are interesting, but it does take a while for the book to really pick up steam. The summary on Amazon and Goodreads focuses on Rigg and Willie, but they're not introduced right away and their stories are a little too circuitous to tell that they're supposed to be the ones most important to the story of the Juliet. The story jumps around from decade to decade, so you really have to pay attention to the taglines stating where and when the section is taking place. It's not an easy book to characterize because there are a lot of characters over the century of the Juliet's history, and not all of them are particularly pleasant. The shifting timelines make it a very convoluted kind of story that sort of makes sense by the end. I'm not sure if I like it, mostly because I didn't like most of the characters involved. I was definitely drawn in to finish the book, if only because I wanted to see how individuals' stories ended. Laura did a great job weaving together the different threads and making it engaging enough to care about the Juliet. I just wish I cared more about the characters during their journey as much as the journey itself.